It’s March Madness once again, and yes, this week we’re talking about the traditional March Madness of college basketball, not our current round of high-stakes elections. For this cord cutter who ditched cable just more than a year ago, this tournament season brings some added anxiety. Last year's tournament did not end so well if you were a Sling TV user relying on the new video service for your live TV sports connection. In its first big test, Sling TV buckled under the strain leaving many viewers unable to watch the semi-final games between Duke/Michigan State and Wisconsin/Kentucky. It was an inauspicious start for the first major streaming service to offer live sports via ESPN and channels like the TBS and TNTa without also having a traditional cable hookup. Making matters worse, this wasn't the only high profile failure of SlingTV suffered in those early days. Season premiers of AMCs “The Walking Dead” and HBO’s “Game of Thrones” also suffered outages. Like many people, these days I watch most of my TV on demand and watch relatively little “appointment TV” – meaning TV based on someone else’s schedule. But, when it comes to things like live sports or season premiers of the most popular TV shows, the things that will be the hot topics around the water cooler the next day, appointment TV is critical, and those appointments need to be kept. These high usage events hit right at the biggest challenge of streaming live TV. Reliability. In all honesty, after SlingTV’s early failures I probably would have dropped the service if I hadn't been getting it for free due to being a part of its “reviewers program”. But then, I am reminded of an experience I had many years ago with another new technology. Everyone knows the Verizon Wireless commercials featuring the “Can you hear me now?” guy. Well, I had a similar job for a few days way back in 1999. While working at Nextel Communications during their testing of their first internet capable wireless phone, I got to drive around the Washington, DC area stopping at random places to test whether or not the phone could be accurately located by the Internet enabled mapping software. In those early days, even after the service went live, it wasn't very good. In fact, it was pretty terrible. At one point I distinctly remember calling into the office and being asked if I had stopped on the side of the Washington Beltway because that's where their map said I was located. I was at least a quarter mile away. The point being that with new technology, the early days are often very, very bumpy. Early adopters have to put up with a lot. They have to persevere just as much as those rolling out the new service or devise. If they didn't, there would be no market for the new services and little technological advancement. software that not only accurately pinpoints where they are, but where the nearest coffee shop is located, tells them how bad the traffic is on their route home, or even helps the. Make sure their kids are where they say they are at any given time. While it took years for wireless internet service to reach critical mass, it did happen. Comparatively speaking, Sling TV has improved dramatically from its earliest days just one year ago. They haven't had any embarrassing outages for quite some time. They've added a number of new channels and released a new more user friendly interface. Also, the price point of just $20 per month can't be beat. Importantly, as a precursor for the rest of the month they seemed to get through last week's series of conference championships without a hitch. Still, this is March Madness. This is important! The rapidly growing community of cord cutters has its fingers crossed. If Sling TV gets through this month unscathed, that will be a huge hurdle for people looking leave traditional pay TV behind. Per Tom Davis Wednesday morning, they are still waiting on provisional and final absentee totals, so things could possibly change one way or the other with a recount. Taking a look at the precinct level maps from election day shows a good picture of how this race unfolded. Jeter shown in Red. Davis shown in Tan. Davis rolled up big victories in Huntersville precincts in the north end of the district - winning those precincts by double digit percentages. However, Jeter overcame that by winning the southern end of the district. Davis was running as an anti-toll candidate which clearly resonated in the northern precincts that will be impacted by the I77 HOT lanes project. His margin of victory there becomes even more stark when one considers this was Jeter's home turf as a former Huntersville Commissioner. Interestingly, this is almost the exact opposite of the precinct level results from the first Jeter vs Davis contest back in the 2012 primary. In that race Jeter ran up huge totals in Huntersville and Davis won the southern end of the district. See below. Jeter shown in light green. 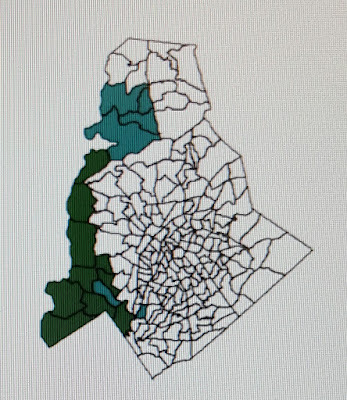 Davis shown in dark green. In 2016, Jeter actually saw his raw vote total fall in 3 of 5 Huntersville precincts when compared to 2012. This happened even while overall turnout across the district was up significantly. That does not bode well for Jeter's general election hopes if he is ultimately declared the winner of this year's close primary. The below map shows the precinct outcomes from the 2012 general election. That's a good comparison because it was also a presidential election year. Jeter shown in Red, Bradford shown in blue. The precincts Jeter won on Tuesday almost match exactly the ones he lost during the 2012 general election. Combine that with what would appear to be lower popularity in his home precincts, and that's not a good recipe for success in one of the few partisanly competitive districts in the state. Bonus Observation: As close as this contest was on Tuesday, it was not the closest legislative primary for the NC House. That honor went to the Democratic Primary for NC House 103 between Rochelle Rivas and Noah Lieberman. In that race Rivas leads by just 10 votes, 3235 to 3225. 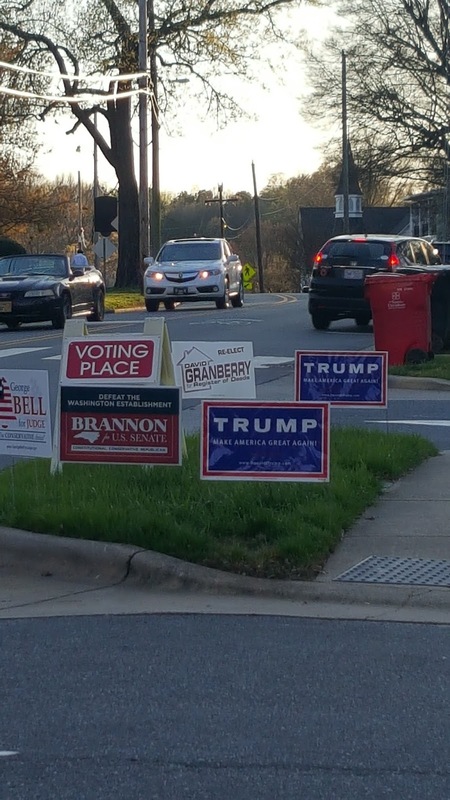 An election day "sign" of the apocalypse in Davidson? Davidson precinct 206 is typically the lone speck of blue in what is otherwise a sea of red that is the Lake Norman area on Election Day. 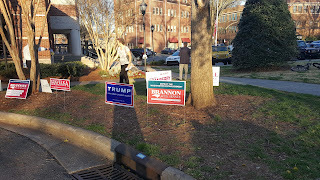 However, if the campaign signs around Davidson Town Hall today are any indication, something of an anomaly may be happening. 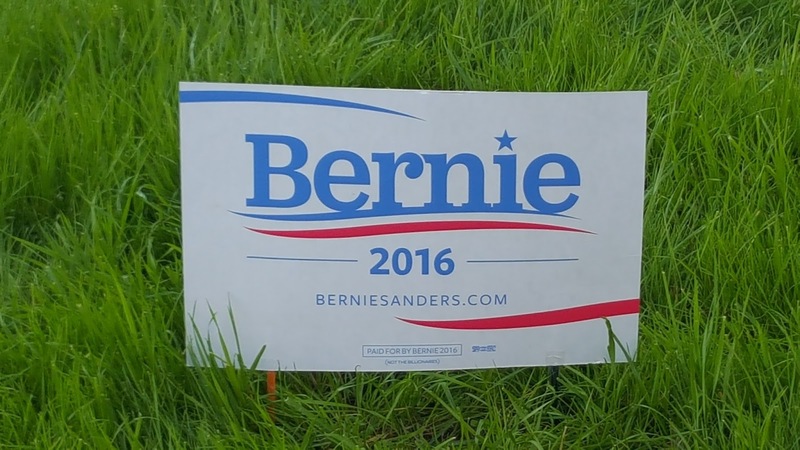 The signs today were predominantly for Republican candidates. And if that wasn't surprising (or jarring) enough for Davidson's left leaning citizenry, "The Donald" had the most. 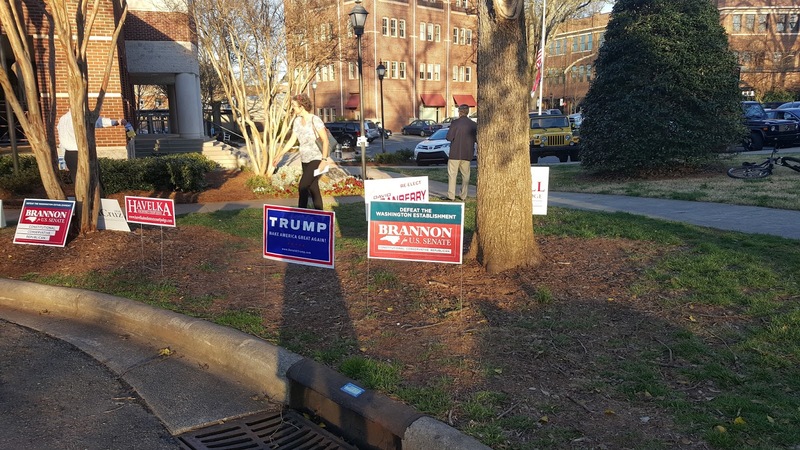 Trump's signage was followed closely his opponent Ted Cruz and by Greg Brannon in his run for US Senate. 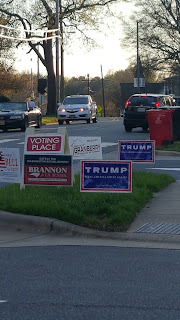 As for the other side of the aisle, the signage did not reflect the historically leftward leanings of the precinct's voters. 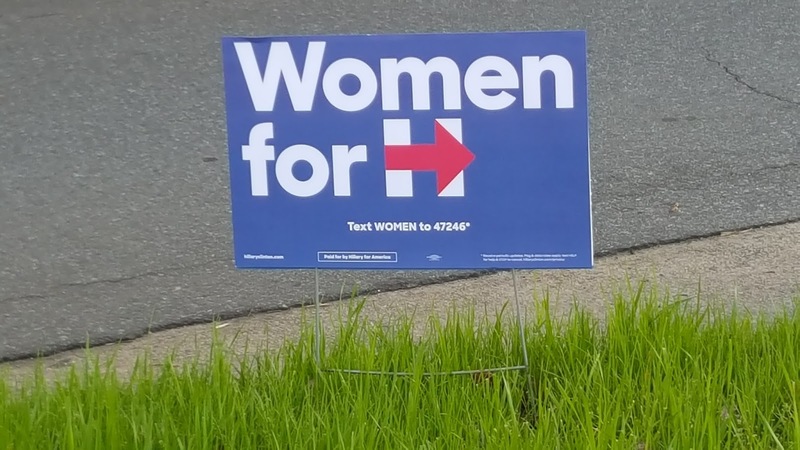 Only one small Hillary sign and one for the Bern were seen out front along Main Street - rather shocking for a location right across from Davidson College. But did that signage ultimately mean anything when it came to vote totals? No, no it did not. Vote totals in the Republican Presidential Primary were 814. The Democrats with their small number of signs counted 1140 voters. PCT 206 is still safely in the hands of the Dems, outside appearances on election day not withstanding. It seems like it was just yesterday that anti-toll activists were basking in the glory of victories at the ballot box, but that was actually four whole months ago. A lot can happen in that amount of time, and when it comes to the controversy surrounding the plan for High Occupancy Toll (HOT) Lanes on I77, a lot certainly has – not all of it good. 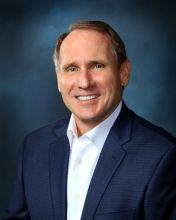 In the subsequent months, the WidenI77.org lawsuit was heard with the end result being the courts failing to provide an injunction, the NCDOT inspector general issued a report effectively saying “move along, there’s nothing for you to see here” when it comes to the legal troubles of the I77 contractor (Cintra) and its parent company (Ferrovial) in Spain, and construction has continued with the clearcutting of trees in the road’s median – providing a daily reminder the project is still moving forward. In the face these setbacks, one might get the impression the last round of local elections may represent something of a high water mark for the effort to stop tolls from coming to the Lake Norman region. However, if that’s the case activists opposing the project must not have gotten the memo. They have kept up the pressure on local electeds and kept the issue at the top of the local political agenda. In response, incumbent politicians who were previously all but silent on opposing the tolls have come out of the woodwork to champion their defeat. NC House 92 Representative, Charles Jeter of Huntersville, announced immediately after the November election that he would be asking for a House Select Committee to be formed to look at the issue. What has happened with that committee? Well, a committee was formed, but instead of it being focused on I77, it’s a committee to look at all sorts of strategic transportation issues - from ports to mass transit to yes, toll roads. To date this committee has done nothing to directly impact the I77 project. NC Senate 44 Senator, David Curtis of Denver, has also made an aggressive 180 when it comes to tolls. As recently as last spring, he was in the “it’s a done deal” camp – buying into NCDOT’s threat of a $100 million penalty if the state cancelled the contract. Days after the November election he told the Charlotte Observer he no longer thought that was the case and was part of a group of lawmakers asking Governor McCrory to void the contract. Even Attorney General Roy Cooper has gotten in on the act. Cooper, whose office reviewed the contract with Cintra before it was signed, gave no strong indications of where he stood until recently. Now, at every opportunity Cooper is saying the contract never would have been signed if he was governor. What do all of these elected officials have in common? They’re all facing stiff election challenges this cycle. Jeter and Curtis are involved in primaries against fellow Republicans where the toll issue the driving issue in their respective races. Jeter faces a rematch of his 2012 contest against Tom Davis of Charlotte. Davis even goes as far a to mention the toll issue on his campaign signs. Curtis also faces a rematch against a former 2012 electoral foe, Chris Carney of Mooresville. The sharpest barbs of that current campaign have revolved around the toll issue. As for Cooper, his big day will have to wait until November when he’s the odds on favorite to face Pat McCrory. That race is expected to be very close and any inroads he makes in the solidly Republican Lake Norman are could be a real difference maker. Cooper no doubt sees the enthusiasm here locally for Mooresville’s Robert Brawley who is challenging McCrory in the Republican primary on an anti-toll message and would like nothing more than to piggyback on that in the fall if McCrory escapes the primary victorious. Rather than seeing Jeter, Curtis and Cooper opposing the idea of tolls now, wouldn’t it have been nice to have seen them actually fighting the toll back when the public really needed their support – before the contract was signed?!?! Something to remember when heading to the polls this coming Tuesday. Anti-toll activists have posted an interesting opportunity prior to next Tuesday's primary elections. It's a good ol' fashioned flyer handout. 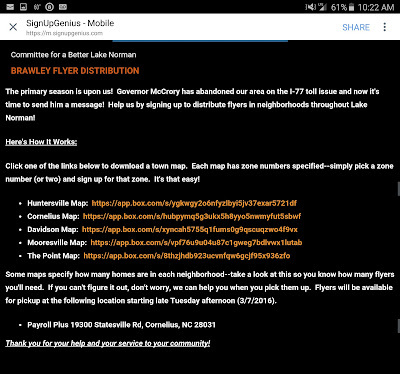 If you want to help hand out flyers, head over to Signup Genius and take a neighborhood. There are options for all 4 Lake Norman area towns. It will be a great way to enjoy the weather, do a little civic duty, and fight the tolls!!! 100% of public hearing speakers oppose West Branch rezoning! Unfortunately, that 100% opposition came from a grand total of two, yes, only TWO people who showed up to speak Tuesday night. That small turnout is a bit surprising considering how well attended the West Branch public information session was just last month. The likelihood of a major change to the overall master plan due to the requested zoning change to the "neighborhood services" section is minimal. That's due to how the underlying zoning was setup. That also probably contributed to why so few people chose to show up. In the end, the developer will likely get what they want. Nonetheless, the speakers did raise some good points. The second speaker mentioned that the new site will also be placed in the front of the neighborhood and not necessarily act as an attractive entryway - drawing people into the neighborhood center. 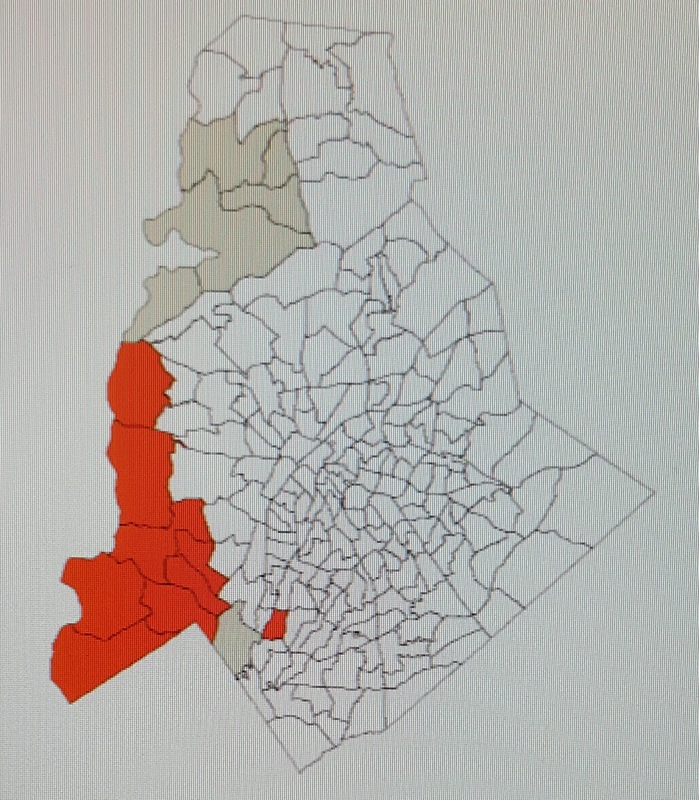 The current shape of the neighborhood services prior to the requested change would do that. What was interesting about both of these speakers is that they were relative newcomers to Davidson who live near the proposed development. They were there on their own. The "usual suspects" when it comes to development issues in town were nowhere to be found Tuesday night. 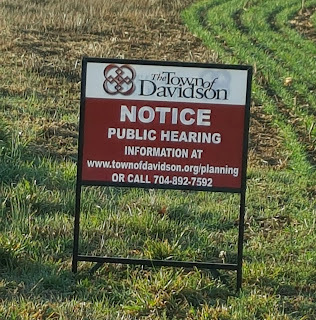 West Branch public hearing Tuesday March 8th...more conflict of interest questions on the way. 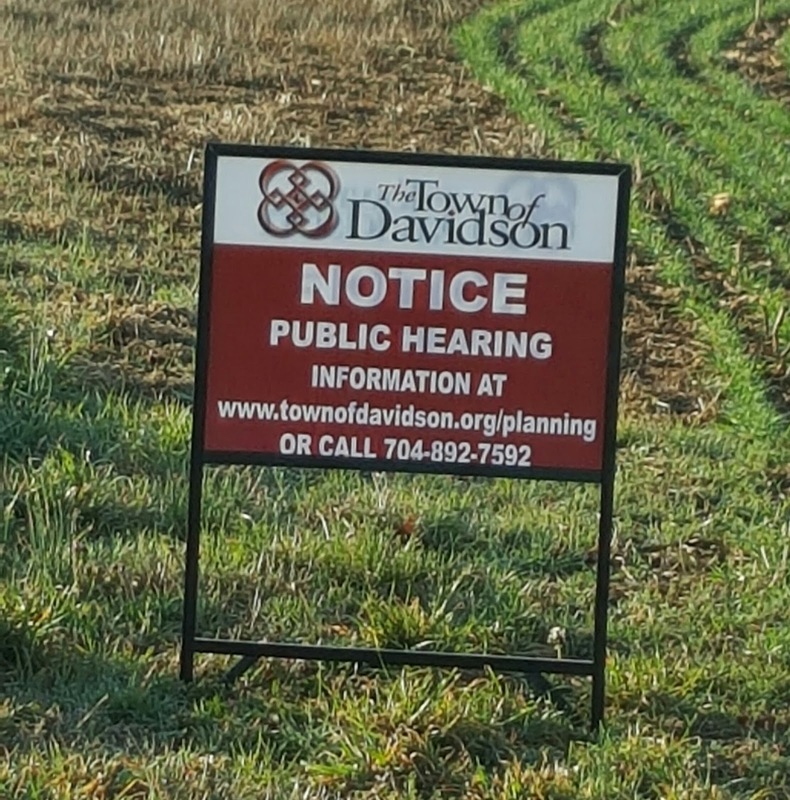 The public hearing for requested changes to the size of the commercial district in the proposed West Branch neighborhood on Davidson-Concord Rd will take place at Tuesday's Davidson Town Board meeting. 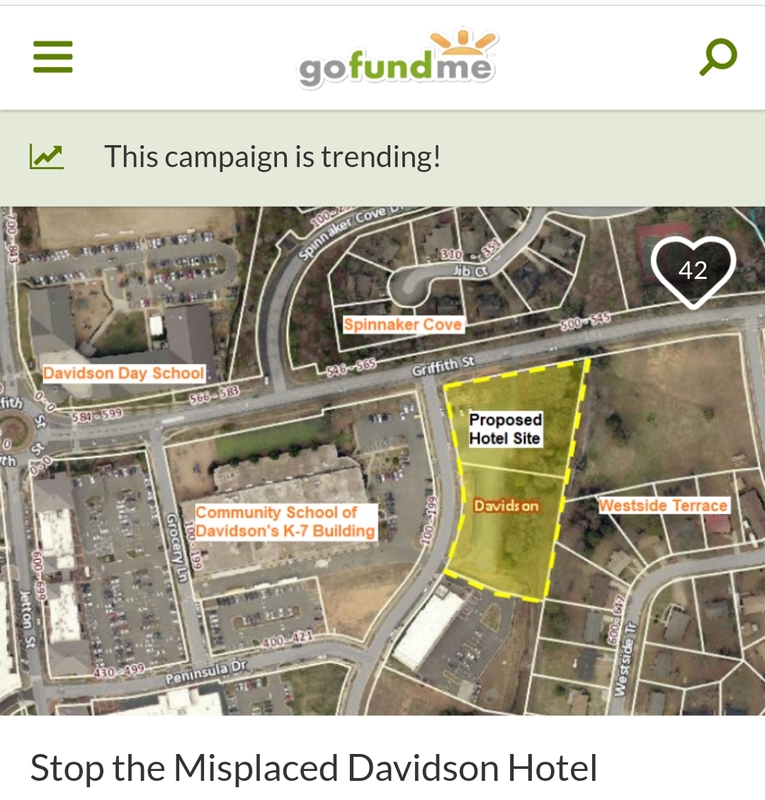 "The Planning Board did not take action. The public hearing for the map amendment is on the agenda Tuesday night. The Board will not take action without a recommendation from the PB, per the ordinance." What this means is that if citizens have a real issue with the change, they have until next month to lobby elected officials. However, due to the way this has played out opposing this change may be a moot point. Opposing this change may just result in some funky looking townhomes as part of the project. "Based upon the current design, the map amendment would have bearing on three single family lots and 54 townhomes. The Neighborhood Services Planning Area does not allow single-family, so those three single-family lots are dependent upon the rezoning. The Neighborhood Services Planning Area also does not allow townhomes, so the 54 townhomes also are impacted by the rezoning request. However, it should be noted that the Neighborhood Services Planning Area does allow for Storefront and Live/Work units and the Ordinance will allow for residential on the ground floor of those units, but their architecture would need to be in keeping with the storefront or live/work design, meaning that ground floor façade transparency regulations would apply. Therefore, the rezoning decision does impact the site plan, particularly for the three single-family lots. It would not necessarily require changes to the site plan for the live/work and/or townhome units, though, but it would alter the architecture. At present, the site design does not illustrate any storefront buildings, but we should recognize it as being an option. Storefront buildings could have residential units above, so it is difficult to determine the actual net unit count increased/lost by the proposed map amendment." It will be interesting to see how the Town Board once again handles the question of a conflict of interest with this project. Commissioner Brian Jenest has indicated to aShortChronicle that he plans to ask to be recused from voting on this map amendment if/when it comes before the Town Board. Previously, when the Historic Designation change for this property came before the Board last month, the Board forced Jenest to vote on the issue saying he didn't have a conflict even though his firm is doing the design work on the neighborhood. Only Commisioner Beth Cashion voted to allow Jenest to be recused. Read previous coverage on that vote here and here. One would think the Board would see this conflict, but after the previous vote it's hard to be sure what this Board will do. If you are going to have a good year in politics, have it in a year that ends in a zero. That’s an axiom Republicans in North Carolina have been benefiting from since the 2010 Tea Party fueled election and the subsequent redistricting required after the decennial census. The axiom holds true because he party in power controls the redistricting process and that’s particularly true in North Carolina where the governor plays no role in redrawing the district maps. In the Tarheel state, the process is totally controlled by the legislature. To give a sense of how important control of this process can be, one just has to look at the maps available at Ballotpedia.org. According to this data, North Carolina has moved to the right farther and faster than any state in the country – at least when one looks at its elected officials. Just prior to the 2010 election, the state had what’s called a “trifecta” for the Democratic Party. Meaning, both houses of the legislature and the governor’s mansion were held by Democrats. After the 2010 election Republicans held both houses of the legislature. The Governor was not up for reelection that year, so the Democrats still held the executive branch. By the end of the 2012 election cycle, things had changed dramatically. By then, NC had what Ballotpedia calls a “trifecta plus with supermajorities”. Meaning, Republicans held both houses of the legislature with veto proof super majorities, the governor’s office, and control of the state supreme court. No other state moved from a trifecta of one party to a trifecta plus with super majority of the other party in that time period. On top of that, the state Congressional delegation moved from 7-6 favoring Democrats to 10-3 favoring the Republicans after the 2014 elections. Much of that swing has to do with who controlled drawing the maps after 2010. Or, to put it more bluntly, who controlled the gerrymandering of those maps. Gerrymandering, or the act a drawing district maps to gain political advantage, is a fact of life in politics. Both parties do it to varying degrees. One could certainly argue the Democrats had drawn the Congressional maps going into the 2010 election to their advantage. In that election, the one where Republicans took control of the legislature at the state level, Republicans got 54% of the votes cast in the races for Congress, but walked away with just 6 of the 13 seats. After they redrew the maps for 2012, Republicans more than turned the tables and walked away with 9 of 13 seats after winning less than 49% of the popular vote. They gained 1 more seat for Congress in the 2014 election to get the current 10-3 majority in the delegation. Unless the courts intervene again, North Mecklenburg has moved from the solidly Republican old District 9 to a much more compact, but still solidly Democrat, new District 12. Voters used to having a Republican represent them in Washington will almost certainly have a Charlotte Democrat in that role. Meanwhile, voters in South Iredell will move from the 9th to the new 13th District. They face a free for all primary on the Republican side with numerous candidates vying for what has suddenly become an open seat leaning solidly Republican. Are you confused yet? Yes, democracy is messy, but this is really getting ridiculous. Mayberry con man "Dan Caldwell"
Once again, the warnings of anti-toll activists seem to be coming true. With Cintra's announcement that its SH 130 toll operation in Texas is headed to bankruptcy court, the future of the I77 project is becoming even more clear if it is allowed to go forward - as in "this can happen here." Cintra's US operation is based in Texas. As we've pointed out here, there are Texas connections to our toll project in Lake Norman that lead all the way to Governor McCrory. Now, Governor Pat - in a completely transparent effort at damage control during campaign season - is dispatching NCDOT to Texas to "reassess" what can be done about NC's contract with Cintra on the very similar I77 project. . Readers will remember that just late last year, Mayors Travis and Woods from Cornelius and Davidson also travelled to Texas to review Cintra's operations. They came back with a glowing report of a road that is nothing like what's planned for Lake Norman - the North Tarrant Express. 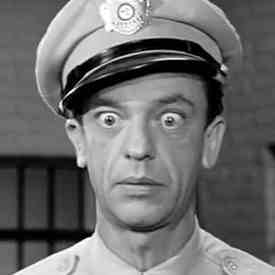 Like Barney Fife, they bought the bait and switch con. Fortunately, all of our local electeds aren't so gullible. 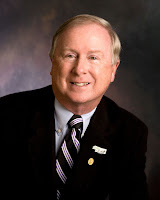 Mecklenburg County Commissioner Jim Puckett, playing the role of the sensible Sheriff Andy Taylor, provided the below comment to aShortChronicle. "This action in Texas is just the latest in a series of defaults, bankruptcies and systematic failures for Cintra and their partners. While the bankruptcy in Texas is not directly linked to the I-77 project the similarities in design and the projected revenues etc. have long been offered by NCDOT as an example of why they choose to go this route. I and the majority of my fellow commissioners have long been opposed to this plan and have repeatedly asked for first a delay in signing the contract and after the fact asking for cancellation. I hope I speak for all of us when I say that while our wisdom and subsequent request have heretofore been ignored I hope NCDOT and the governor will now follow our official request and cancel this contract. Attorney General Cooper told me personally that he would "vigorously" fight for the citizens of NC in fighting any lawsuits that may arise from cancellation and I have no reason to doubt his resolve and skills in working with the governor and the legislature to bring this to a quick and affordable conclusion." 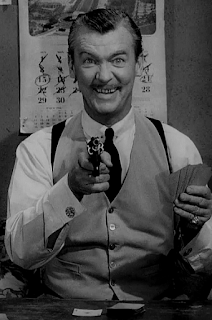 Like an old episode of the Andy Griffith show, let's hope this con is finally foiled by our own various versions of Sheriff Taylor before it's too late!